(Location cited as NO 750 759). 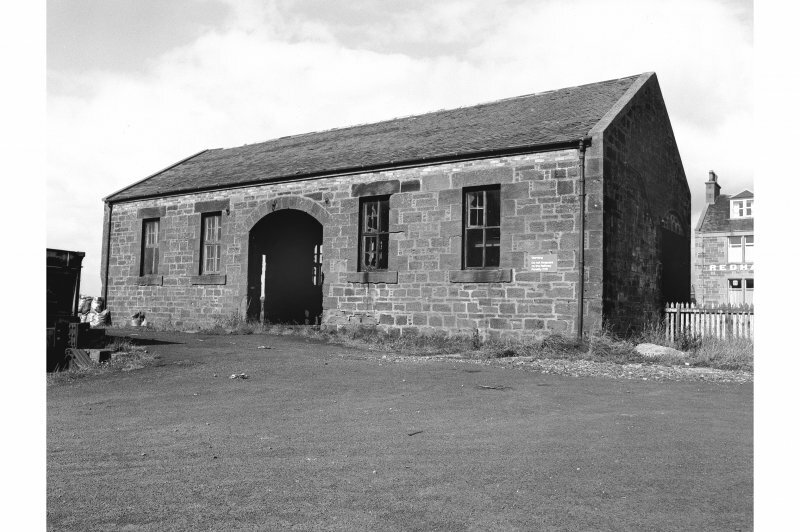 Fordoun Station, opened c. 1849 by the Aberdeen Rly. Formerly a two-platform through station with the main offices on the up platform in a one-storey and attic rubble building on an L-plan, with an awning in the the angle of the L. There is a single-storey goods shed, also on the up side. 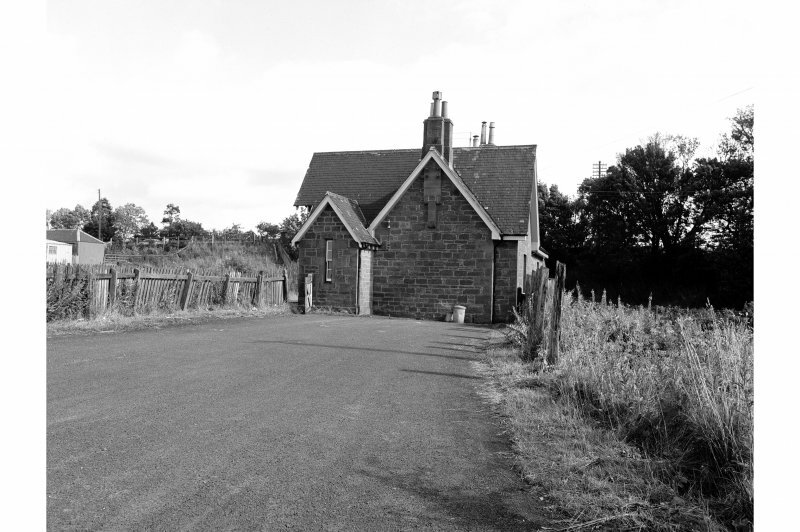 This intermediate station on the Perth-Kinnaber Junction-Aberdeen) main line if the former Caledonian Rly was opened (by the Aberdeen Rly) on 1 November 1849. It closed to regular passenger traffic on 11 June 1956 but the line itself remains in passenger use.